The Colombo Chief Magistrate yesterday permitted the CID to obtain a handwriting sample of former Parliamentarian Sajin de Vass Gunawardena in connection with an investigation against him under the Prevention of Money Laundering Act. Chief Magistrate Gihan Pilaptiya made this order considering a request by the CID that they want to obtain a handwriting sample of the former MP in connection with the investigation relating to business transaction at the Cosmos Aviation Company. The CID is yet to conclude their investigations. 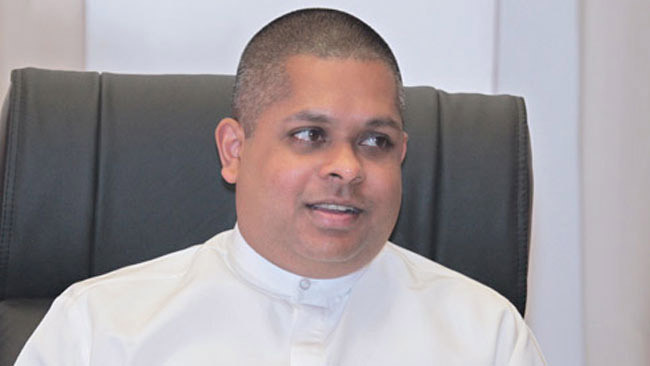 On June 27, Sajin de Vass Gunawardena was arrested on the charge of forcibly getting a businessman to write cheques and acquiring Rs.610 million through illegal means. He is currently out on bail. The CID earlier complained that the suspect had allegedly threatened businessman Krishna Selvanadan, a director of a private company and thereby the suspect could be charged under Victims and Witnesses Protection Act. However, the businessman through his lawyer denied the CID’s claims that he was threatened by former MP. The CID alleged that the suspect had purchased helicopters, light aircraft and land properties using undeclared money which were earned illegal means. Senior Counsel Anuja Premaratne appeared on behalf of the suspect. Further magisterial inquiry was fixed for November 18.